For this classic Windsor estate, the homeowner assembled a collaborative team—all of whom they had worked with in the past. With their previous home building experiences behind them, the clients were certain about the style they were seeking for their newest project—an understated, elegant home for their young family that included 3 small children. 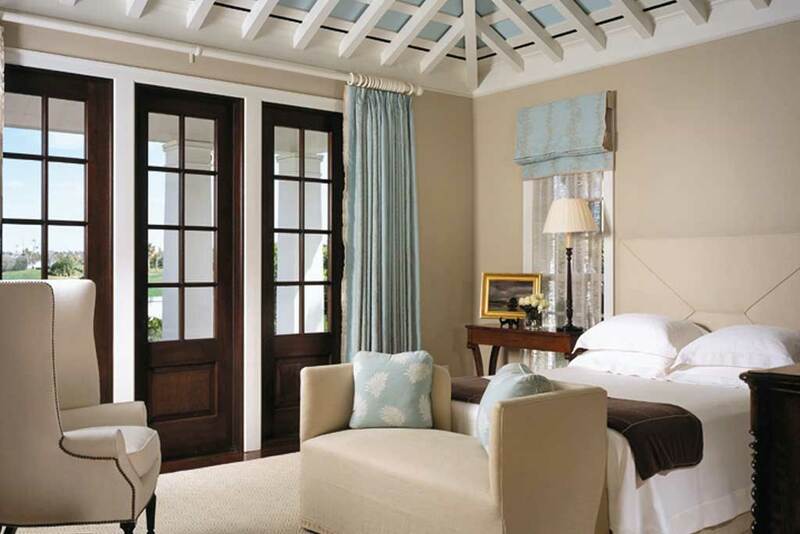 Located in the seaside village of Windsor, just north of Vero Beach, Florida, the distinctive architectural aesthetic of the community is often referred to as “Anglo-Caribbean,” while the specific charm of the diverse residences absolutely reflects the individual style and flair of each homeowner. 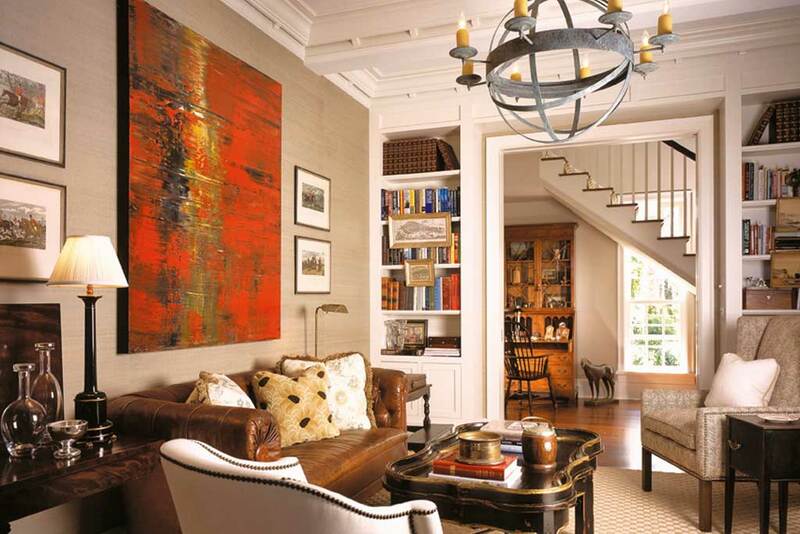 In creating the award-winning interiors for this project, Spectrum created a transitional design that incorporated antiques, furniture and art from the family’s extensive collection. Spectrum hand-selected and placed pieces to create dramatic, yet comfortably elegant interiors. 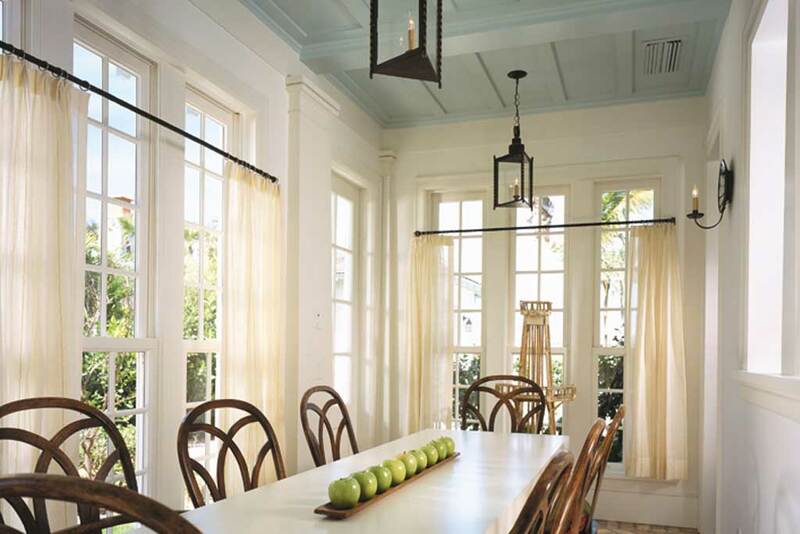 In the sun-filled breakfast area, the many windows created the feeling of a sun porch, which Spectrum emphasized by selecting a casual linen fabric for the draperies, hung low on the windows to allow the outside vistas and light to become part of the space. 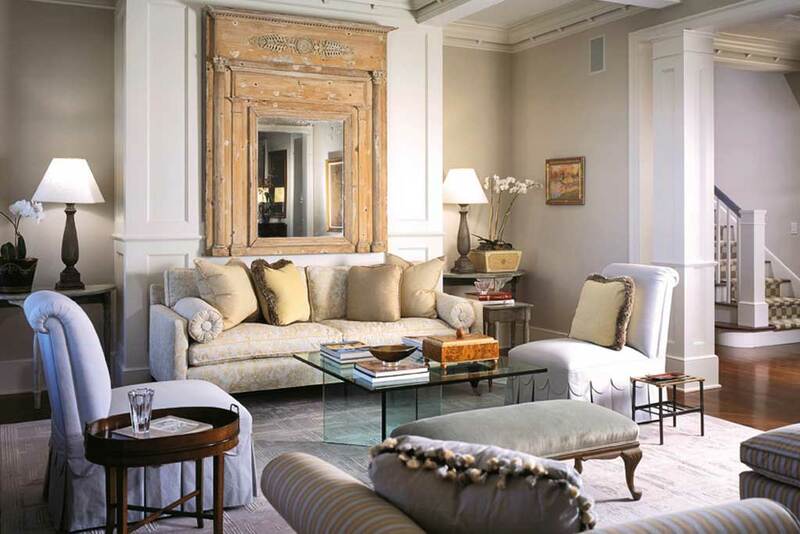 A dramatic antique mirror takes center stage in the formal living room reflecting a mixture of classic and contemporary furnishings, fabrics and accents. 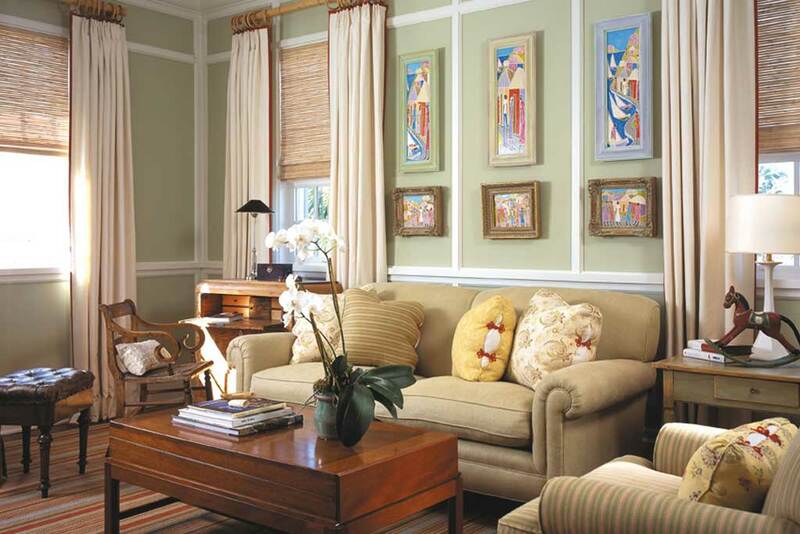 An informal family room incorporates contemporary paintings, antiques, textured window treatments and comfortable furnishings for a personalized setting. 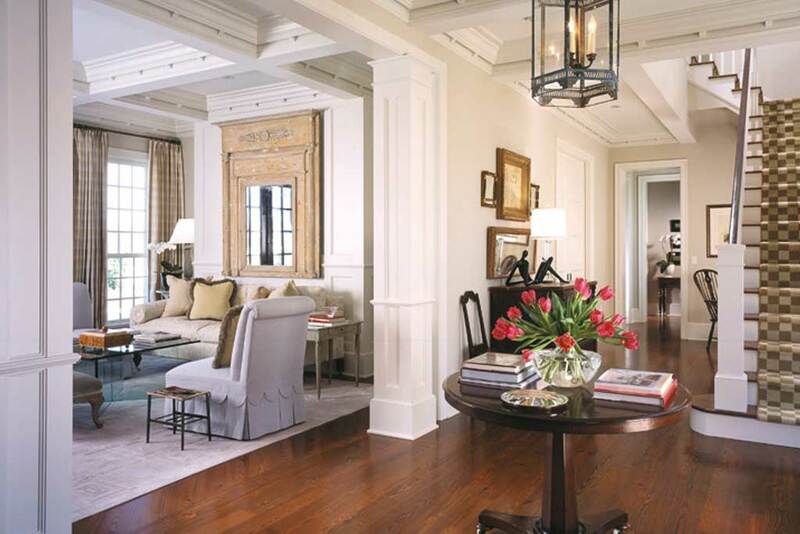 Likewise, the formal library also blends diverse elements and unique antiques that complement the detailed coffered ceilings and built-in bookshelves. The result is an exquisite home with sophisticated appeal.